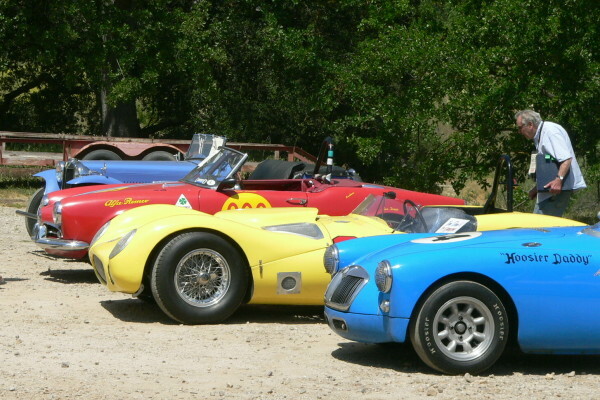 Historic cars from the era of the Paramount Ranch racing events lined up for judging and display. Approaching the cars is a familiar figure to Northern California racers and fans: Stan Peterson. Stan began racing in 1947 and is STILL ACTIVE in historic racing. Don't be fooled by his hunched form; the spirit that dwells within is bright-eyed and alert and ready for more racing action.